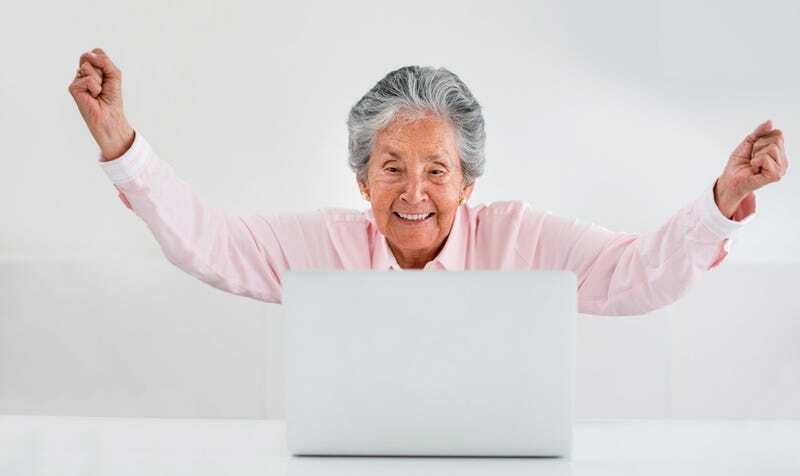 Have you been mocking Grandma for holding fast to a clunky, barely functional copy of Internet Explorer 7? Get ready to eat your words. A nurse and patient-pairing website has decided that, rather than put up with customers trying to run IE 7, it's just going to buy them a whole new computer, goddammit—fancy new browser included. IE7 users make up 1.22% of our traffic right now, and this will decline as more computers are upgraded and can use modern browsers. However, we know that some of our clients are still stuck with IE7 so we decided to make a bold offer, one that initially seemed crazy to us but now makes a lot of sense. We are offering to buy a new computer with a modern browser for any of our customers who are stuck with IE7. We determined that it would cost us more to support a browser from 2006 in 2014 and beyond than it would to help our clients upgrade their legacy hardware. How could this possibly be lucrative? Well, dedicating the manpower and time it takes to keep IE 7 users running is only going to get more expense. So even if NursingJobs is just passing out Chromebooks, customers are almost undoubtedly still getting a better machine than whatever crap they were using before, and NursingJobs presumably doesn't have to pony up too much cash. Plus, at 1.22% of its userbase, it's a small sacrifice to make for assuaging a major potential headache.